Zilicus will be launching ZilicusPM 4.1: the next version of Online project management software. Here are the features highlight and preview of screenshots before official announcement. ZilicusPM 4.1 is the result of the hard work we are doing in collaboration with our customers to make their project management experience easier and better. We have further enhanced project collaboration through ZilicusPM. Apart from shared project plan, online project calendar, shared documents, risks and issues, ZilicusPM 4.1 will offer. In ZilicusPM 4.1, for newly signed up users, the onboarding process does hand-holding through the application. 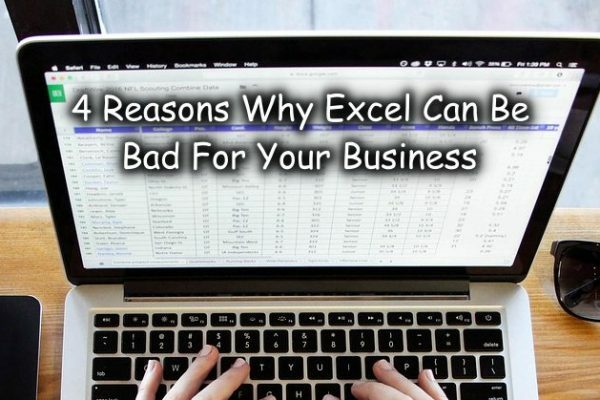 There are onboarding videos, articles, wizard to simplify user engagement and onboardimg. 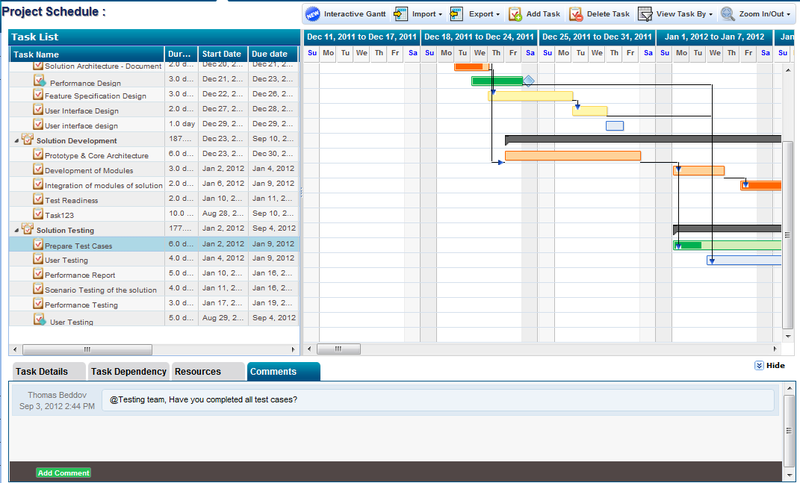 Here is the video that quickly demonstrate interactive Gantt chart & Gantt chart zoom feature in ZilicusPM. 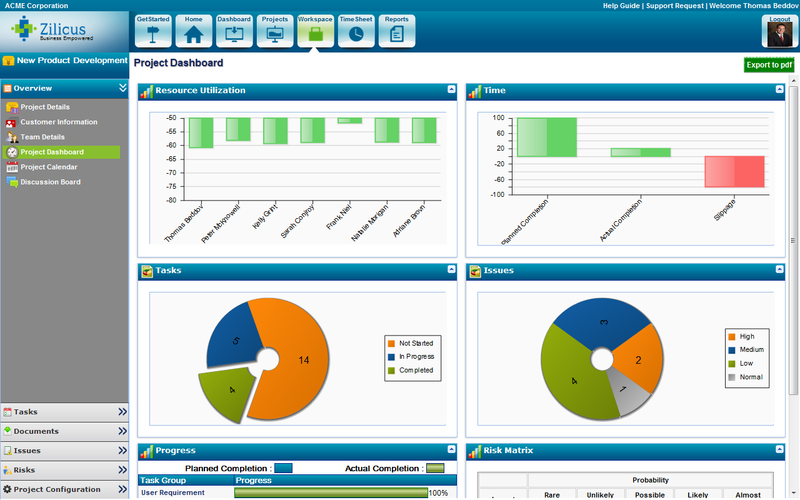 Enhanced project dashboard in ZilicusPM gives real visibility of project progress, project activities – schedule, time, resources, issues, risks, cost elements. 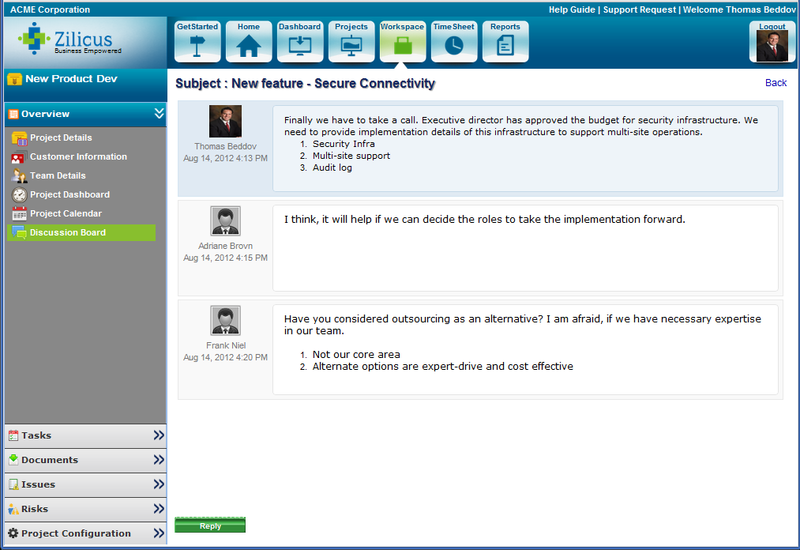 Project discussion board has been introduced and enhanced to enable team collaboration. Anyone in the project team can initiate a discussion and team members can participate. Even client users can initiate a discussion and team members can add their posts. ZilicusPM sends email notification to respective stakeholders whenever new discussion is started or someone has added their responses to existing post (depending on email settings). 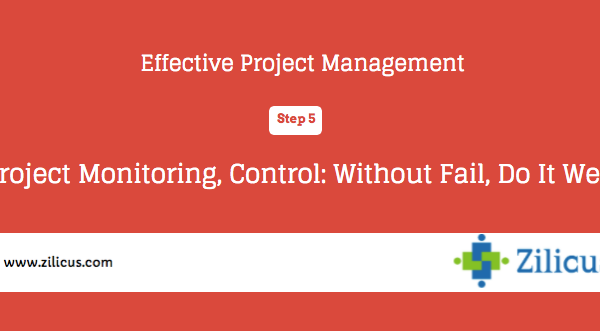 Project manager can not only track project progress but s/he along with team members can as well check who is updating what and what all project activities are going at the moment. 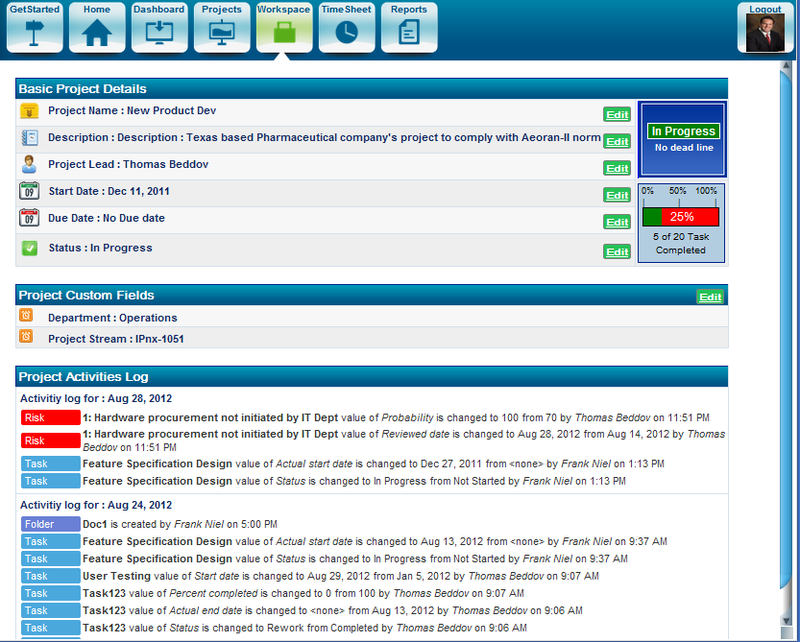 It is social media like update one can view in the project overview page. The screenshot below shows such updates. Depending on email preferences, email notification will be sent to task assignees. Thus project team members can easily collaborate about their project activities, share latest update, report concerns, seek help or so. Update: ZilicusPM also has simple excel like interface to manage project tasks. You can use keyboard shortcuts to manage those tasks faster. This enhancement was introduced as a part of project management software version ZilicusPM 11.1 version. ZilicusPM 4.1 features many enhancement, performance improvement and user experience improvements apart from the screens shared above. To experience the complete project management software with unmatched performance, sign up for 30-days free trial. Use project management software for project planning & scheduling – Try ZilicusPM a powerful tool that enable online project planning – WBS, online scheduling, Interactive Gantt Chart, resource assignment, MS Project Integration, project tracking, issue management, time tracking tool, online project risk register and much more.